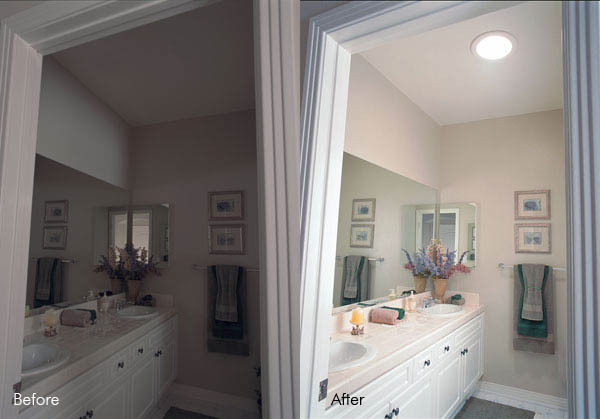 Here we have some really good examples of the difference that our daylighting systems can have by bringing natural daylight into your home. 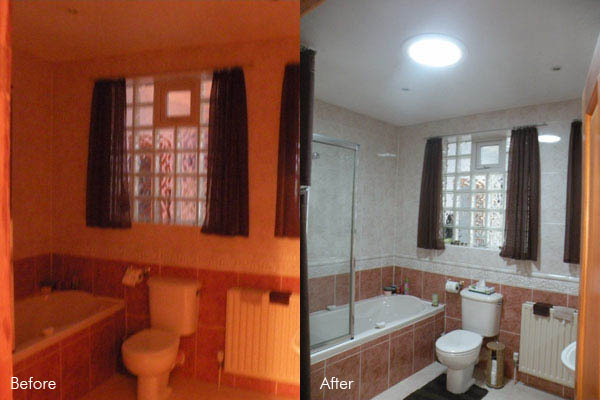 In this example the bathroom already had a window although it didn’t bring in a lot of light as it was at the back of the property. We knew that a skylight would work brilliantly as we could bring natural daylight straight down from the roof and into the bathroom. The diffuser does a wonderful job spreading crisp bright sunlight all around the bathroom. This is natural, healthy and saves money in electricity. Here we have another bathroom. 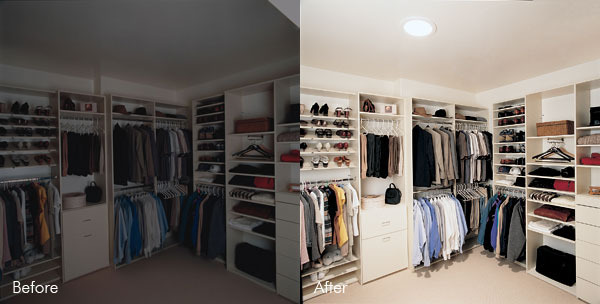 Once again, tubular daylighting system does a dramatic job at illuminating what was once a very dark room. Even when the sun isn’t shining, the light tube still captures enough light, bouncing it around in the tube and spreading through the diffuser at all angles to create truly impressive results as you can see. This is another great example. This closet was almost in darkness. See the difference that a sun pipe can make to being able to get ready and see what you’re doing in the mornings. This kitchen had no windows on either side, only doors at either end. As you can see it was very dark. The sun pipes make an amazing difference. As you can see, this lounge had very little daylight due to there being only one small window and a dining room with doors at the end. The skylights bring so much light into the room that there is definitely no need to have the lights on any more during daylight hours. We hope you will agree that our tubular daylighting systems, or sun pipes, or sun tubes, or sun tunnels, call them what you will, can have a dramatic effect at illuminating your home. 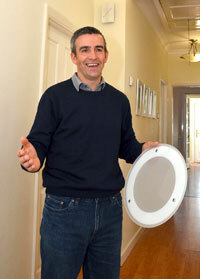 Its healthy, natural and will save you electricity not requiring you to turn the lights on all the time. 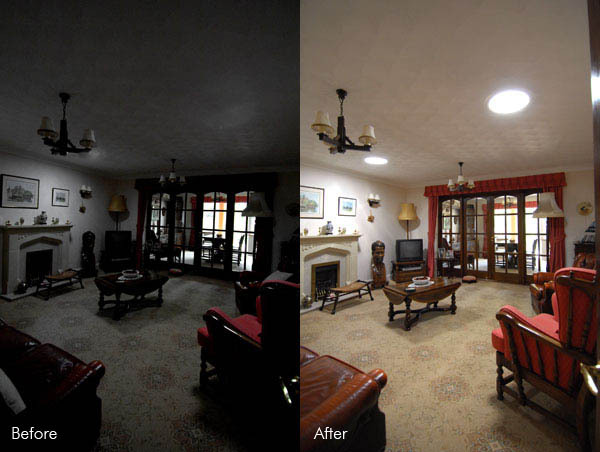 As with all of our pictures, there is no camera trickery involved, these photos show the incredible results that you can achieve from a sun pipe bringing natural daylight into your home. For a free no obligation survey, a competitive quote and friendly advice, please call us any time on 0345 548 0844 (local rate nationwide) or call Deane on 07747 333380.